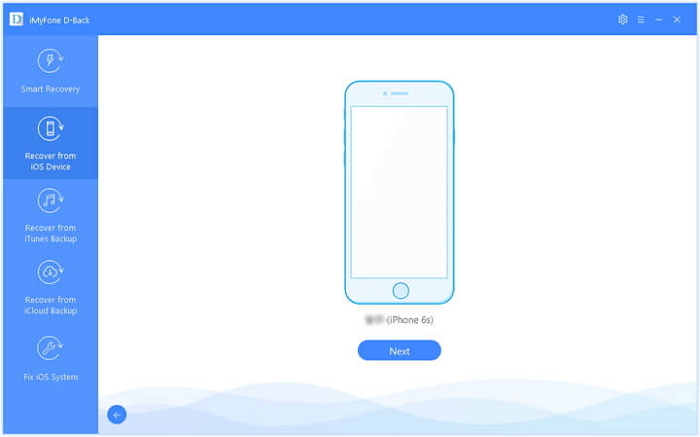 In certain cases, iPhone users have to restore their devices. However, some users forget to create a backup of their data before restoring and get frustrated thinking that there is absolutely no way to recover them. The purpose of this article is to explain if it is possible to recover iPhone photos after restore without backup. The truth is that it may be possible to recover iPhone photos after restore without backup. But the results will not be positive unless you follow a special way which we explain in this article. Can I Recover iPhone Photos after Restore without Backup? With official iTunes or iCloud, it is no possible to recover iPhone photos after performing a restoration. In other words, Apple’s official ways don’t let you recover photos after a restoration. The only hope you can recover iPhone photos after restore without backup is to rely on a powerful third-party software. 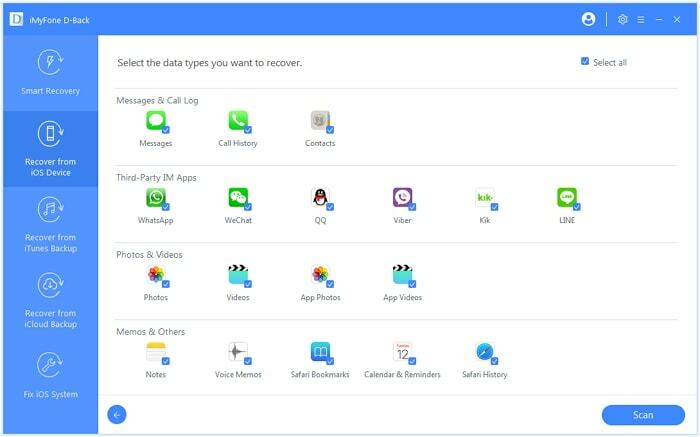 Please note that if you want to get the lost data back, you should stop using your device after losing data. Any new data written into your device might overwrite your lost data and make them unrecoverable. Although the process is probabilistic, it is worth giving a shot using a different tool other than iCloud and iTunes. 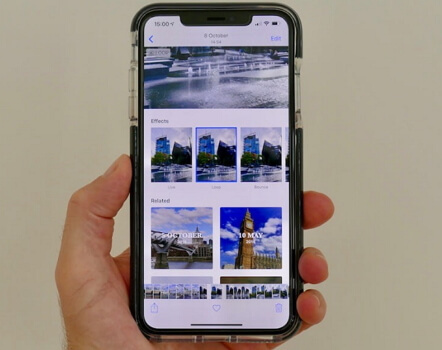 The most effective tool we can have some hope in terms of recovering photos from a restored iPhone is iMyFone D-Back which is a very smart tool that comprises of a range of features that can be helpful for iPhone users. Can recover 18+ data types like messages, notes, contacts, call log, WhatsApp, Viber, Line and etc. Following is a step-by-step guide on how to recover iPhone photos from your iPhone. Step 1.Open iMyFone D-Back and go to “Recover from iOS Device”. Then, select “Start” option. Step 2.Now, connect the device into the computer and press “Next”. Step 3.Choose photo type you intend to recover and press “Scan”. Step 4.At the completion of the scan, you should find all the recoverable data on screen. If you need to preview them all, check them all. Otherwise, select the option “Show only the deleted files”. 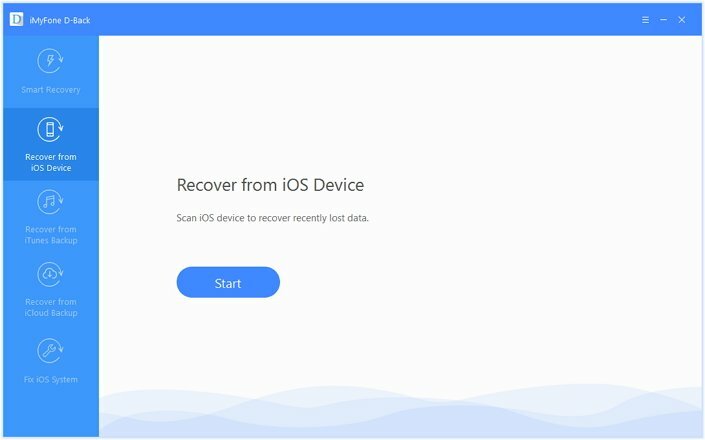 Select the files that need to be recovered and hit “Recover”. When prompted, enter a folder location to save the files you have just recovered and wait. 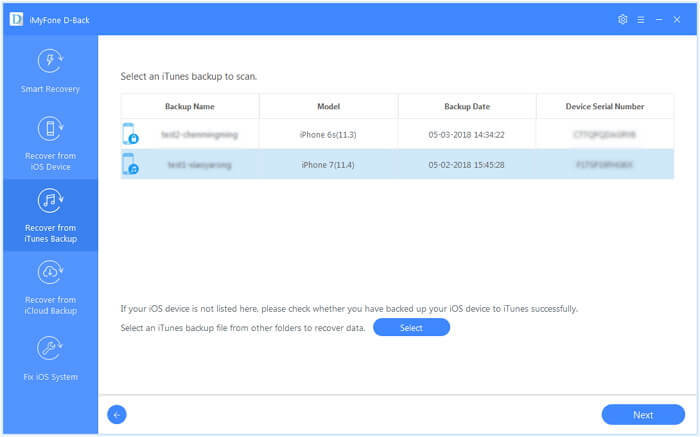 iCloud and iTunes can back up not only your existing data, but also some deleted data on your device. But users cannot see or access the deleted data even they restore the backup. With the help of iMyFone D-Back, a professional iPhone data recovery tool, you are able to view the existing and deleted data in your iTunes and iCloud backup. 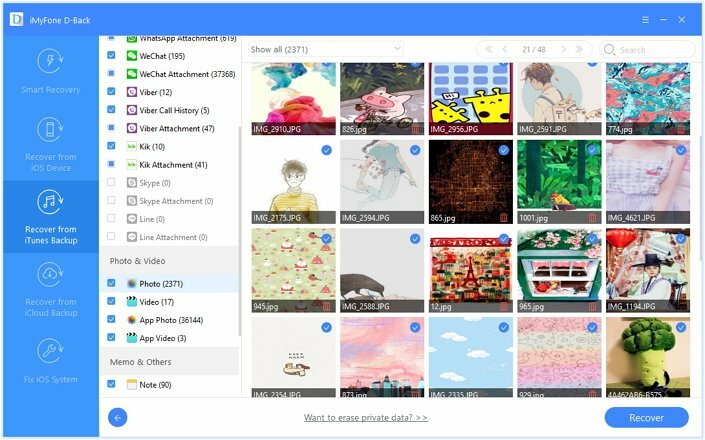 If the deleted photos are available in your iTunes, you can recover them via this method. Step 1.Go to “Start” option under “Recover from iTunes Backup” section. Step 2.Select the iTunes backup you intend to recover photos from and hit “Next”. Step 3.Hit “Scan” after selecting the photo data type. Then wait for a moment for the scanning process to get completed. Step 4.Once the results are displayed on screen, browse the files or select “Only show the deleted files”. After selecting the exact files, click on “Recover”. Define a folder location to save the files and wait for the process to be completed. 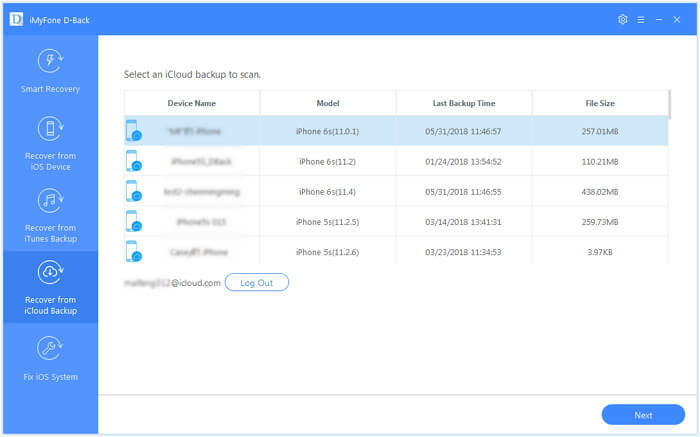 If you assume that your photos are saved in iCloud account, you can try retrieving them using iMyFone D-Back. Step 1.Go to “Start” option placed under “Recover from iCloud Backup” tab. Step 2.You should now enter your iCloud details (iMyFone doesn’t keep any of your information). Step 3.Now, the program will search for iCloud backups available under the account. 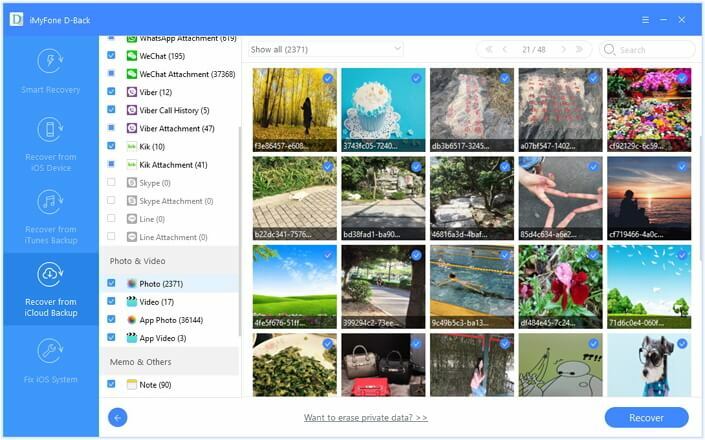 Choose the most relevant backup on which your photos might be and press “Next”. Step 4.Then, choose photo file types you intend to recover from iCloud and choose to “Scan”. Step 5.At the scanning, you should see the list of files. Preview and click on the option “Recover”. As the last option, you should define a location to save recovered data. Both iCloud and iTunes are tools offered by Apple itself. If you use these tools smartly, you can reduce the chances of losing your important data. Creating regular backups with iTunes or iCloud is a really handy approach for any iOS device user. However, tools like iCloud and iTunes come with certain limitations. For instance, iTunes and iCloud don’t let you backup data selectively and you cannot view the backup contents either. 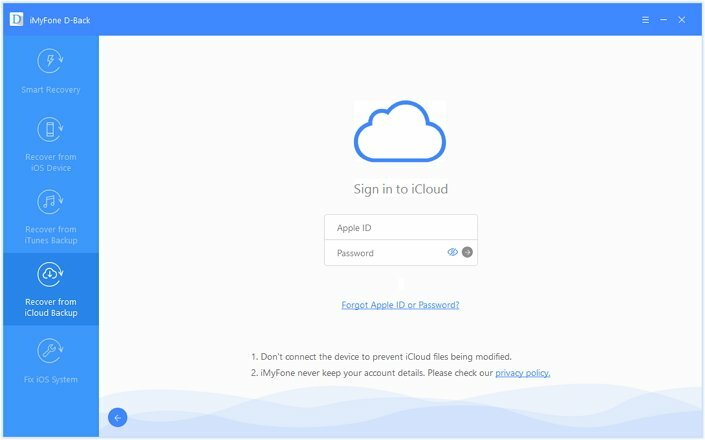 In addition to using iTunes and iCloud, you can consider iMyFone D-Back as an excellent alternative to backup your data. Using iMyFone D-Back, you will be able to transfer your data safely into an external location (your computer). This data can later be viewed as you need them. A software like iMyFone D-Back lets you back up data selectively on to your computer. For instance, if you just need to back up your photos only, you can do it easily through iMyFone D-Back. In addition to that, D-Back doesn’t have any restrictions in terms of data limit. So, as an iPhone user, it is wise to have iMyFone D-Back with you. We expect you to create backups of your data on frequent basis and stay away from potential data loses. In case if you have lost your data due to any reason, you can try iMyFone D-Back. Recovering photos upon a restoration can not be guaranteed even if you use a professional tool like iMyFone D-Back. However, we believe that there is a decent chance of recovering photos from a restored iPhone via D-Back. Please leave us a comment about the experience you have with this article.